Hire a tipi tent from Ultimo Catering & Events to create your own personalised and unique party atmosphere. These giant tipi’s will help set the scene for your party and create either a warm cosy atmosphere or a unconventionally cool chill out zone. Whatever theme you want to create for your event, these giant tipi marquee can be arranged to suit your needs. Celebrate your wedding under canvas and wood- the ultimate blank canvas venue. Create a warm and intimate wedding venue with the sides down or a fresh open pavilion with the sides raised. Our tent tipi’s are a unique alternative to conventional wedding marquee hire. Reflect who you are with the freedom and flexibility to create something totally unique and unconventional, that brings your family and friends together in an intimate setting. Our giant tipi’s provide a venue – from casual to formal that is versatile and visually stunning and will delight and amaze your guests. Be inspired and create a gorgeous wedding day by using Ultimo’s giant tipi’s. Create a lasting impression for your next corporate event with our tipi’s! Tipi’s are a versatile alternative to marquee hire for public events or festivals. I would just like to thank Ultimo for all your help with our Christmas Party. 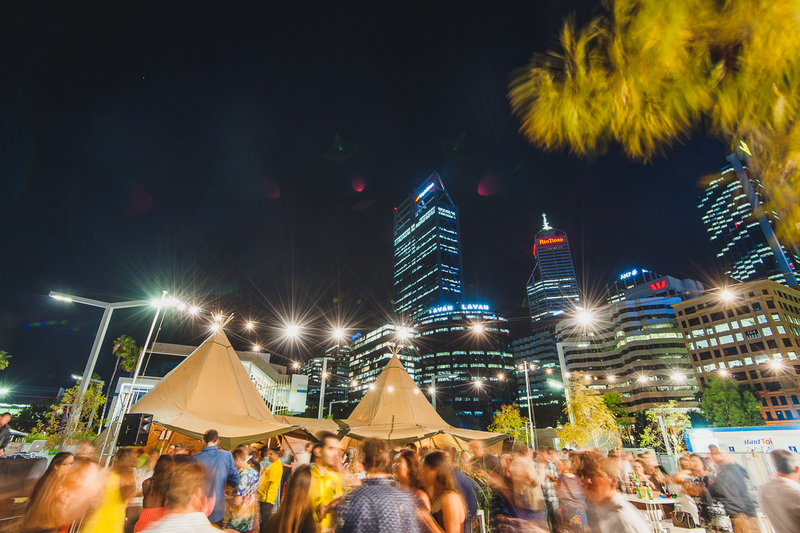 Our event at Elizabeth Quay ran so smoothly and the feedback from our clients was beyond positive. It was such a perfect night, your staff we’re so helpful, the food was amazing and your tipi setup was absolutely stunning. Our own staff and guests had nothing but positive feedback about the night. Thank you so much for all your help and corporation on the night and before the event.